Are you an employer who is looking for a reliable investigator to run a background check on the employees? Or are you suspecting your spouse for cheating and want to get some proof so that you can move ahead to file a divorce case? Or maybe your loved one is missing and you are looking fora detective who can trace them and inform you about their whereabouts. Whichever the case may be, if you are thinking of getting in touch with a private investigator, then you must start your search today. If you are in the areas like Manhattan, New York, then you can come to us at Michael McKeever Private Investigator. We are one of the most reputed investigation agencies in NYC. 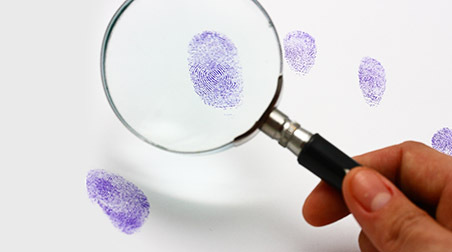 When you are thinking of hiring an investigator, you must be very careful during the screening process. There are several questions that you need to ask the investigator before you hand over the case to them. Take a look at the following questions that will determine how efficient they are to deal with your case. If a private investigator takes up your case, he or she might need to have accessto public and police records. Only a licensed investigator will be able to get the information from the confidential sources. Also, the license will let you know if they are authorized to investigate in your location or not. Ask them if they have liability insurance or not. If things go wrong, they will have to cover the damages caused. Ask the investigator about his or her experience. Experience will not only speak of their expertise but will also help you know if they are credible or not to deal with your case. What is the Field of Your Specialization? Often private investigators deal with a specific field like criminal cases, infidelity and so on. Before you hire them, don’t forget to ask about their field of specialization. It will be helpful for you to find out the right people for the job. So, now as you know about the top three questions that you need to ask, what are you waiting for? If you are in NY, then give us a call at 212-226-0358 to set an appointment.